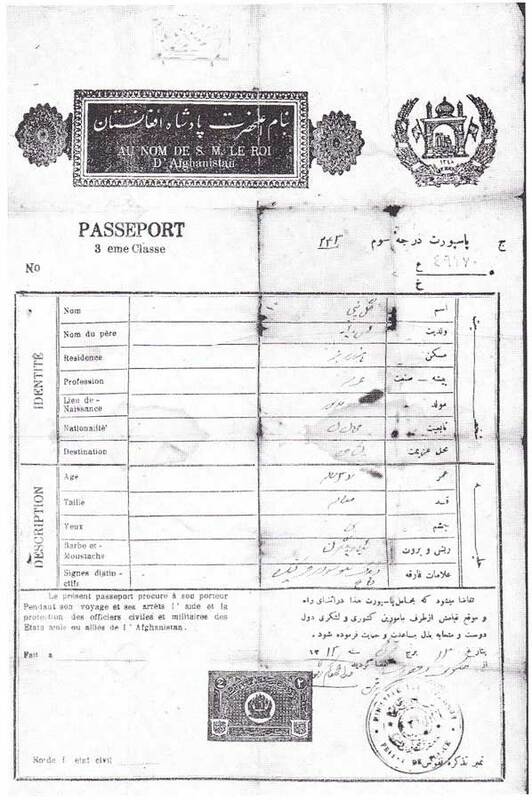 1934 Afghan Nomad Passport good for one single journey to India. Good for a Single Journey to India No. 7128. 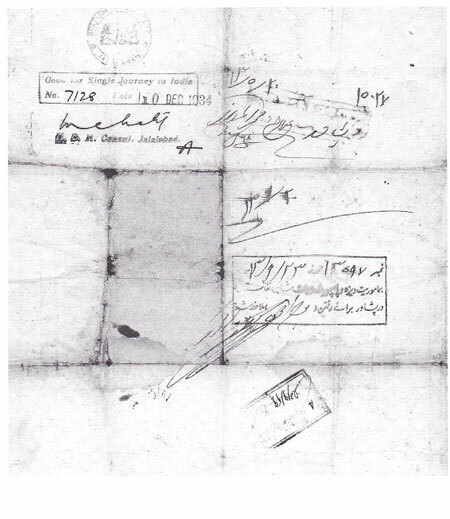 Date 10 Dec. 1934. Frederiksen, Birthe, and Ida Nicolaisen. Caravans and Trade in Afghanistan: The Changing Life of the Nomadic Hazarbuz. London: Thames and Hudson, 1996. Page 130 and the translation is from same page. Image used with permission of Rhodos International Science and Art Publishers. See http://www.rhodos.com/.